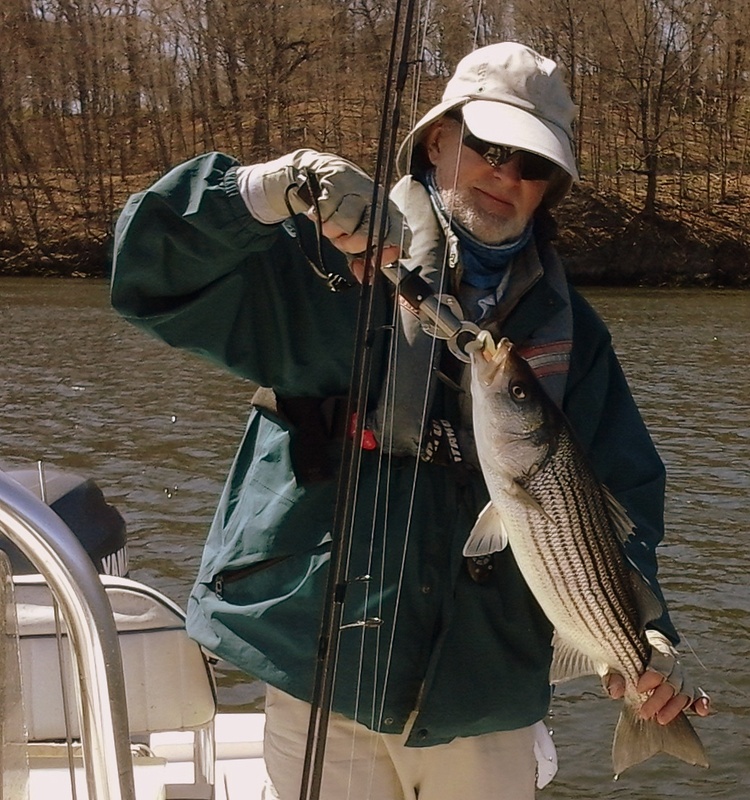 This was the second day of Wayne and Yves's visit to sample the striper fishing in the Housatonic River. We noted with amazement at how much green was to be seen on the trees along the River's bank just compared to the day before. The day stared off with north winds blowing around 10 knots. 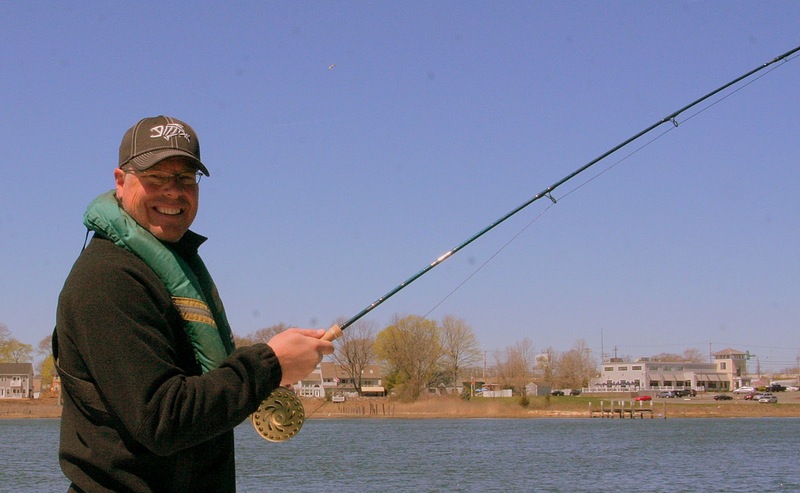 It was actually reasonably warm out there on the water. Then, not predicted in NOAA's forecast for the day, the wind shifted 180° and was now howling in from the south at 20 knots. And, you'd think a south wind would be warm, but south means it was blowing on the Connecticut shoreline from Long Island Sound which is at best maybe 50°, so this south wind was actually colder than the north wind had been earlier. 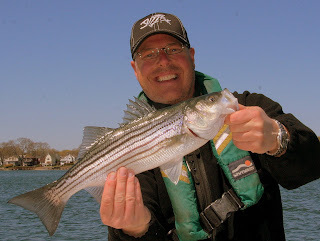 Undaunted, we set out to break the day before's catch of 53 stripers. 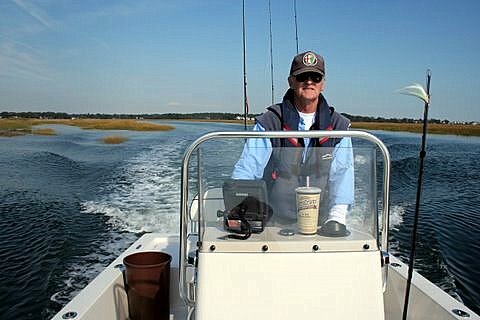 We were even optimistic enough to take along a fly rod which turned out to be a good thing as at times the all-white clouser minnow proved to be the most successful lure on the boat. In fact, the clouser was so effective that Wayne tied one on his spinning rod with a couple of split shots above the fly and did very well on the stripers with that arrangement. 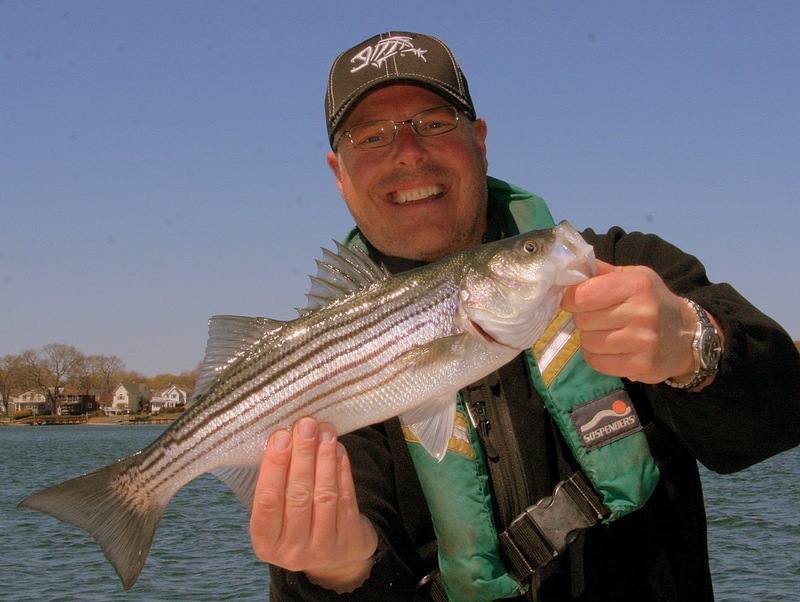 Bottom line: We finished the day with 67 stripers, no keepers.